Overview... E Corp Senior Vice President of Technology and almost-certain psychopath. There’s a reason former E Corp employee Elliot Alderson calls it Evil Corp, and Wellick lives up to the nickname. Wellick is transparently ambitious, but unlike others in his line of work, he’s unafraid to get violent to climb the company ladder. That means intimidation, beatings, and even murder. Personality... violent, shifty, determined, and unpredictable. Wellick has an off-kilter demeanor, as if his time as a suit in a multi-national corporation has driven him a little insane. He greases any wheel necessary to achieve promotions, resorting to blackmail, sexual favors and violence to get what he needs. 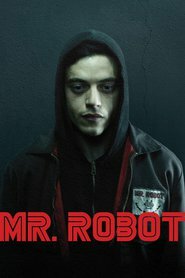 Alderson is not just an employee of E Corp, but an anarchist hacker, so Wellick keeps a close watch on him. Wellick has worked too hard to be taken down by some twerp in a hoodie. Tyrell Wellick's popularity ranking on CharacTour is #1242 out of 5,000+ characters. See our top-ranked characters and read their profiles.